Come and enjoy life at a more relaxed pace at the award winning Compasses Inn. 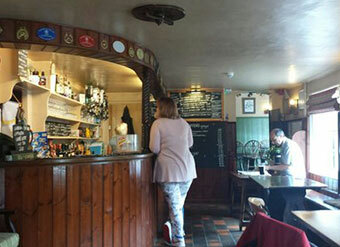 Our charming pub is situated in the hamlet of Littley Green which lies in the heart of the delightful Essex countryside. Our dog and child friendly Victorian pub, formerly known as the Ridley’s Brewery Tap, is steeped in history and tradition. 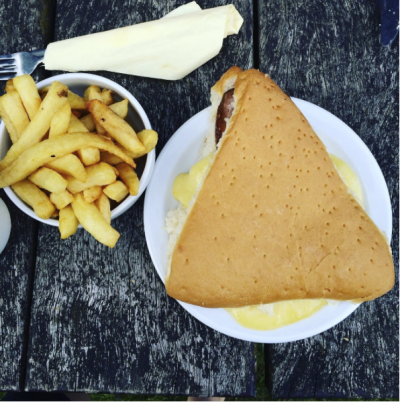 We offer warm Guest Accommodation and serve local food, including the famous Essex Huffer, alongside some of the best real ales in Essex. So if you are looking for a relaxing time with a pint of real ale, whether it be in the garden on a sunny day or some hot traditional pub food by a warm open fire in the depths of winter, The Compasses welcomes you. Being members of the sixth generation of the Ridley brewing family we pride ourselves on the quality of our real ale. 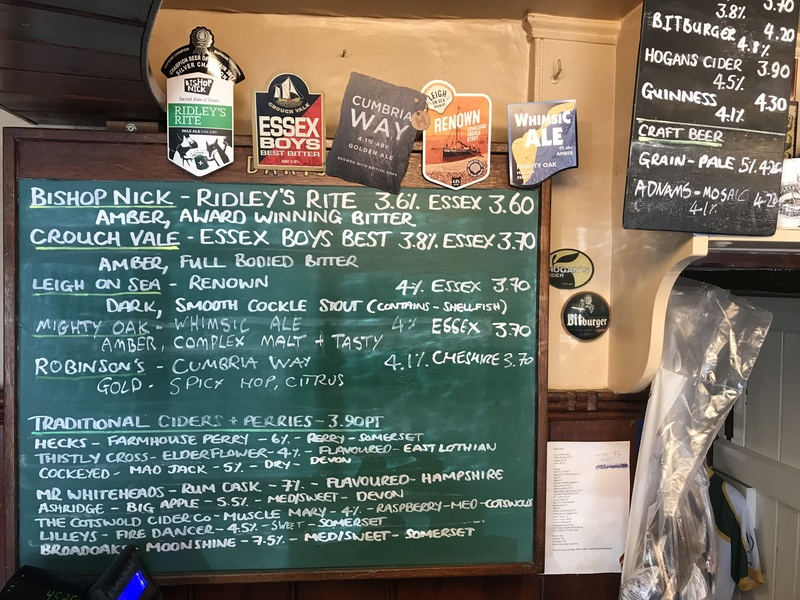 There are always two classic Essex bitters available – usually Bishop Nick Ridley’s Rite and Crouch Vale Essex Boys Best – a dark ale, a golden ale and one other guest ale. See the blackboard below for our latest offerings. There are sandwiches - and there are Huffers! What's a Huffer? Well, let me tell you. Traditionally a Huffer used to be half a loaf of bread that the men working on the fields would take each day, stuffed with a selection of fillings. See the historic pillboxes, remnants of World War II, amongst the wild garlic in the nearby woodlands and enjoy walking through the fields of linseed and wheat. The local countryside is perfect for walking, cycling and horse riding. If you are interested, the The Compasses' unique cycling shirts are available from the bar. For all those winter walkers there is a welcoming open log fire and a good pint of real ale to help you on your way. Only a few furlongs away is Chelmsford City Racecourse – the first one to open in the UK since 1927. Are you feeling lucky?